Wolfgang Schneider is the Chief Creative Director for BBDO, Germany. Prior to this Wolfgang Schneider was the Chief Creative Director for Jung von Matt Berlin, Germany. 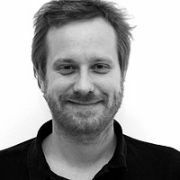 He previously worked for DDB, Berlin; Jung von Matt, Hamburg; and Springer & Jacoby, Hamburg. Wolfgang has been awarded by the Art Directors Club Germany for sound design, and print/illustration for campaigns such as Mercedes Benz, Spiegel Online, T-Mobile and Fisherman's Friend. He was also won awards from LIAA, Die Klappe, VDW, Eurobest, Das Plakat, Goldenes Mikrofon, One Show, Montreux, Cresta, New York Festival, Epica, Mobius,Ramses, Lead Award, CCM sterreich, Zeitung Kreativ, Axel Springer, Spotlight Festival, Plakat & Media Grand Prix and Goldenes Lenkrad. Wolfgang Schneider has a Diploma in Business Communication from the University of Applied Sciences, Berlin. He lives and works in Berlin.